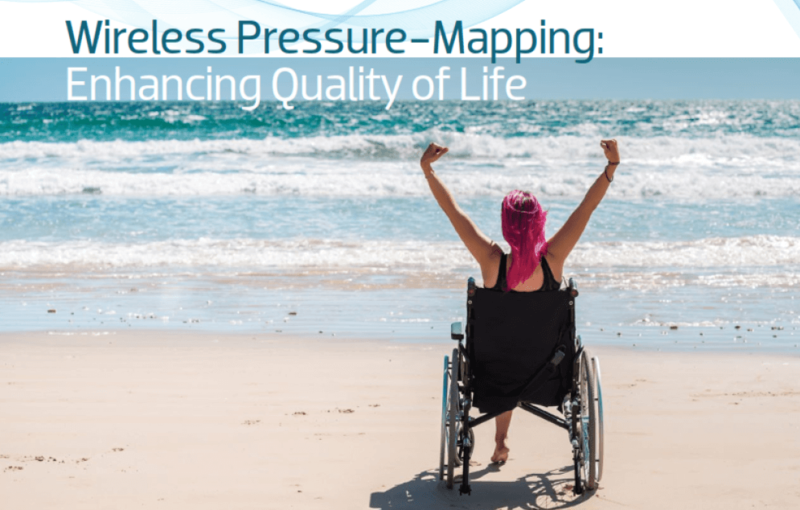 BodiTrak2 Pro pressure mapping system is used by seating rehabilitation professionals around the world to assess and document their patient's pressure management, posture and comfort needs to develop personalized surface and positioning solutions based on objective data. 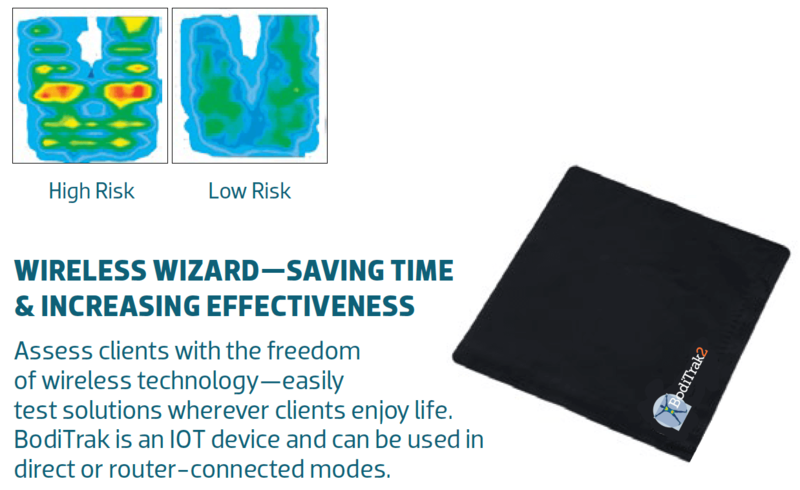 User-friendly SmartFabric sensor technology provides instant and accurate interface pressure data for seat, seat and back, O.R. 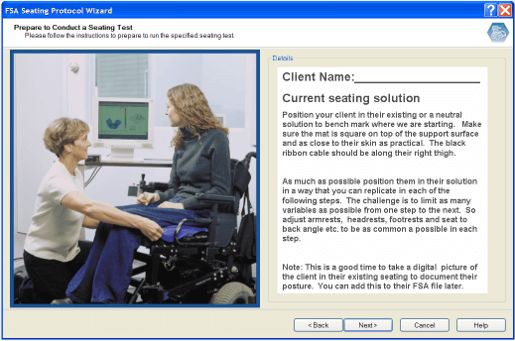 pads, bed, feet or balance. 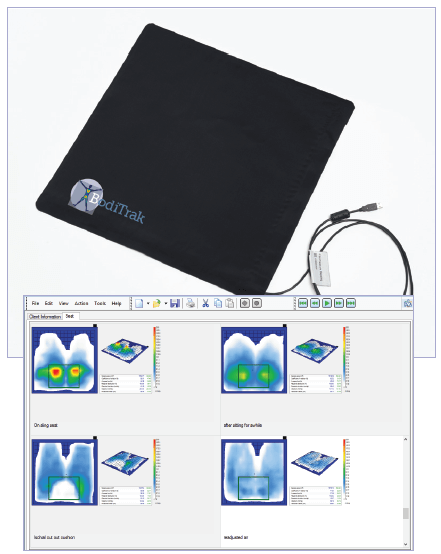 It is also a great biofeedback training tool. 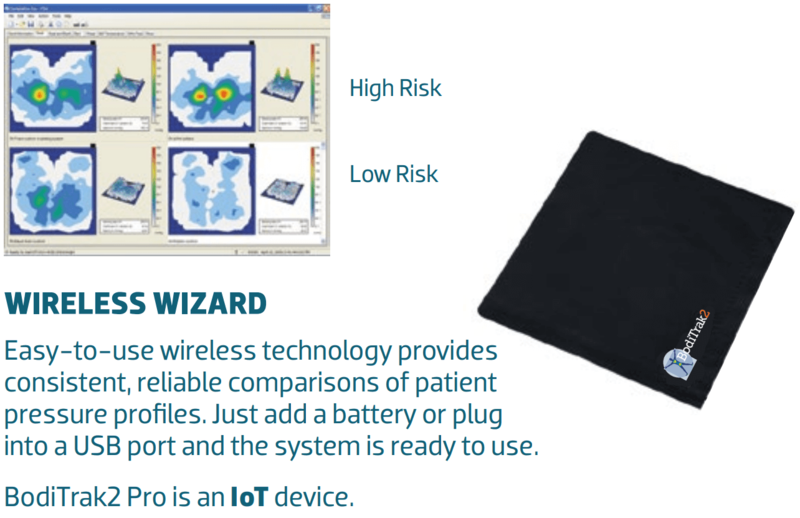 Powerful data collection and easy to understand graphic displays helps indentify patient requirements for standard or customize product solutions. 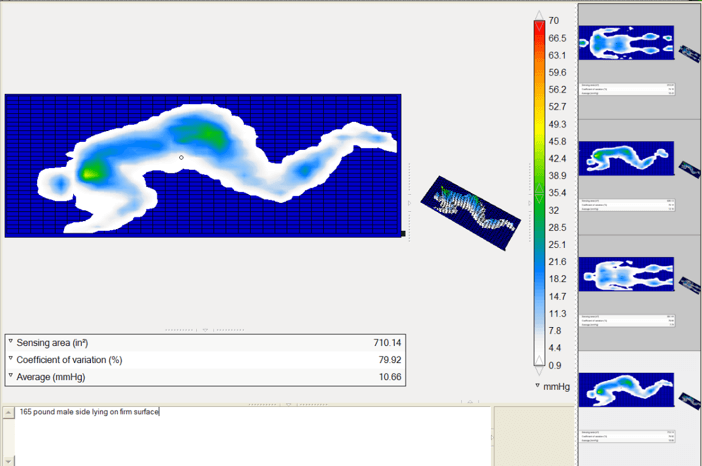 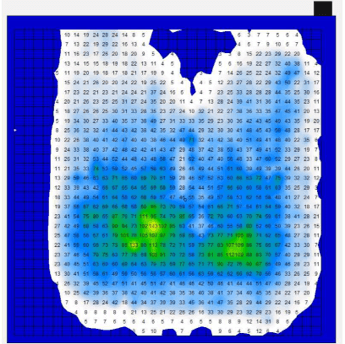 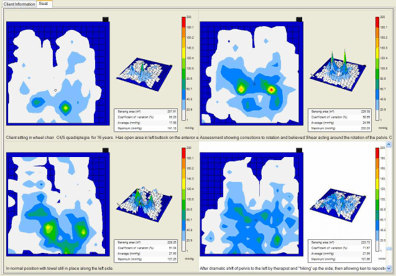 Four scan comparison display assists the clinician in choosing the four most relevant pressure maps that represent the patient in their; current solution, on a mat table, on an possible solution and a preferred solution.